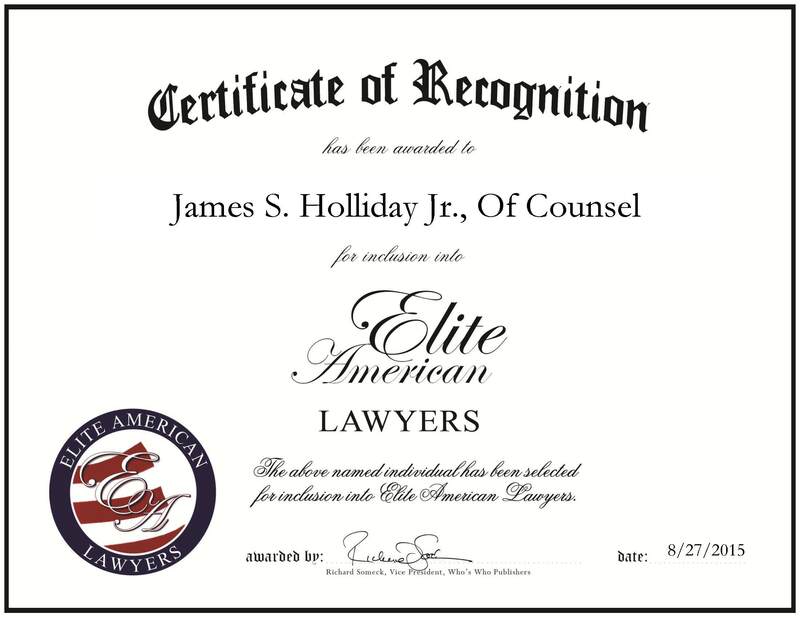 Baton Rouge, Louisiana, August 27, 2015, James S. Holliday Jr., Of Counsel of The Baringer Law Firm, LLC, has been recognized by Elite American Lawyers, for dedication, achievement and leadership in business and corporate law. 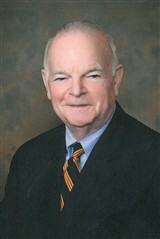 Mr. Holliday has 50 years of professional experience, having recently become of counsel for The Baringer Law Firm, LLC. Throughout his career, he has set himself apart through his skill in corporate law, construction litigation, trial and federal practice. Each day, he represents clients in personal injury and business litigation, including lawsuits with million-dollar verdicts. He also orchestrates multimillion dollar business deals between companies. Looking back, Mr. Holliday attributes his success to working long hours. He became involved in the law industry because he was intrigued by law throughout high school. Mr. Holliday received a JD from Louisiana State University Law Center in 1965 and a Bachelor of Science in finance and economics, also from Louisiana State University. Mr. Holliday is admitted to practice in Florida, Texas, Louisiana and the District of Columbia, and he may also practice before the United States Supreme Court. He maintains affiliation with Rotary International of Baton Rouge, as well as his local country club. He is also a member of the Louisiana State Bar Association, the Baton Rouge Bar Association, the Federal and American Bar Associations, and the Louisiana and American Trial Lawyers Association. In the near future, Mr. Holliday will consider retirement. Contact James S. Holliday Jr. This entry was posted in Business Law, Corporate Law, Litigation, Personal Injury, Trial Law and tagged million-dollar verdicts, multimillion dollar business deals. Bookmark the permalink.